Kaltman Creations has relocated from Suwanee, GA to an expanded facility in the upstate South Carolina area. “With the impending launch of the new RF ResQ, we were in desperate need of an upgrade for both our office and our warehouse and manufacturing facilities,” said Mark Kaltman, president of Kaltman Creations. The RF-ResQ is just one of Kaltman’s many RF solutions and inventions, and Kaltman Creations will use the new facility to gear up for the official release, scheduled for mid-June 2016. 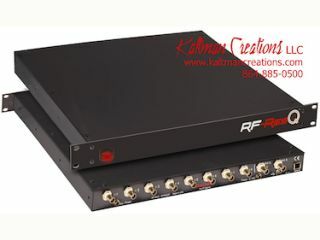 The RF-ResQ, is Kaltman’s answer to the RF congestion problems that today’s pro audio industry is all too familiar with. At its core, the RF-ResQ is an antenna signal processor that salvages unusable frequency ranges, reduces interference, and allows for closer adjacent channel spacing.